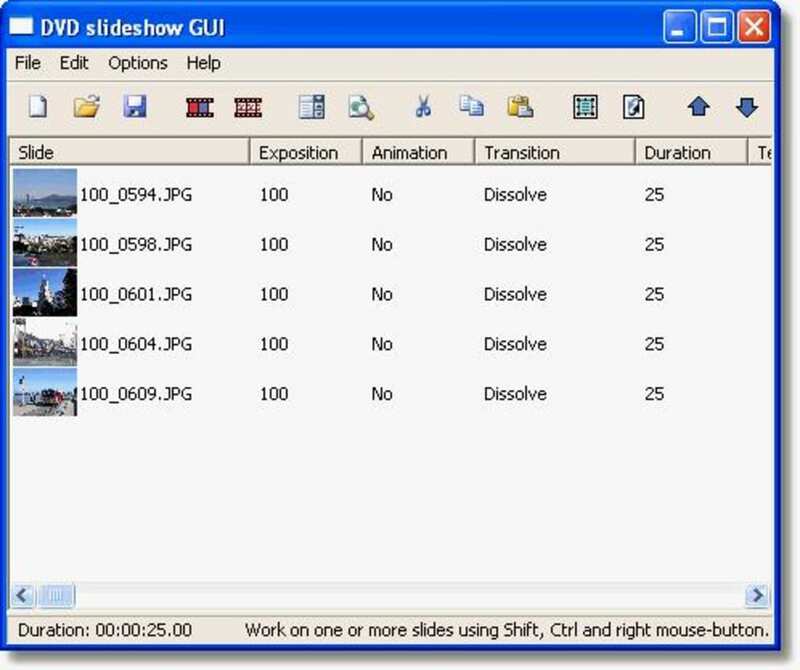 DVDslideshowGUI is a great, free software only available for Windows, that is part of the category Design & photography software with subcategory Viewers & Catalogues (more specifically Video Screencapture). Since we added this software to our catalog in 2006, it has obtained 231,900 downloads, and last week it achieved 11 downloads. 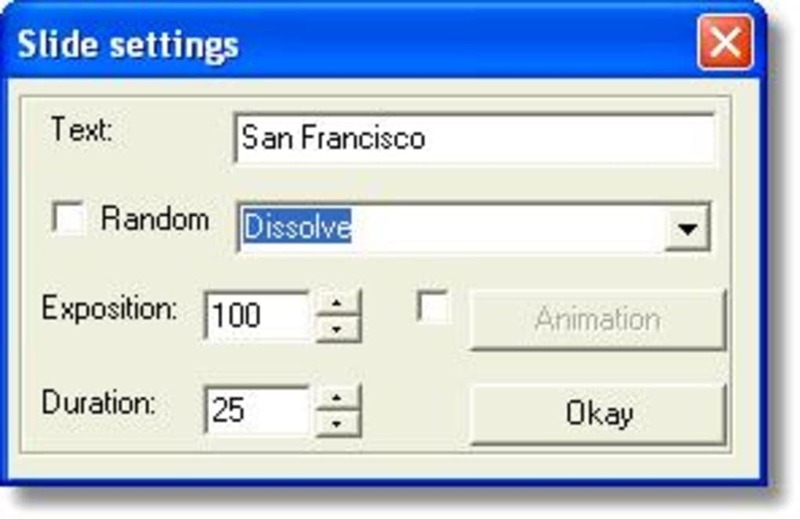 About the download, DVDslideshowGUI is a program that will require less storage space than most programs in the category Design & photography software. It's a program mostly downloaded in United States, Kenya, and Philippines. It's available for users with the operating system Windows 98 and prior versions, and it is only available in English. Its current version is 0.65 and its last update was on 2/5/2006. Animate images. Add music. Add avi's. Rescale image size. Add background Add music. Add texts. Add borders. Add textbox. Set exposition time. Set transition time. Choose between 140 transitions. 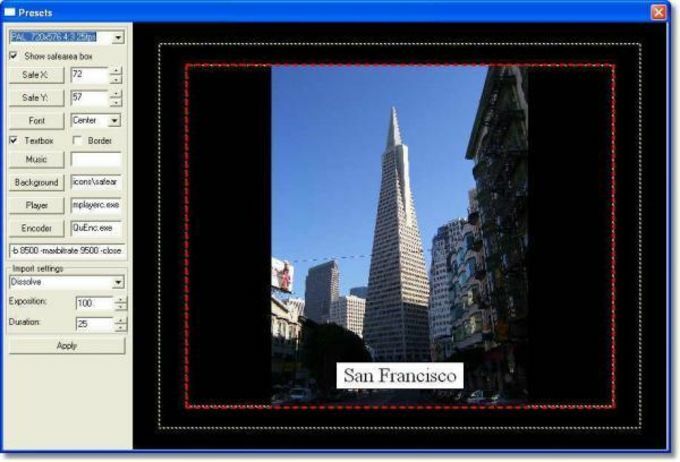 Export the slideshow to many fileformats including a ready to burn DVD-image and Avi. Code your own avisynth transitions or make your own jpg transitions. What do you think about DVDslideshowGUI? Do you recommend it? Why?